The better part of a century passed before more than a handful of serious scientists accepted Copernicus’s cosmology (1543) proclaiming that the Earth rotates on its axis, while also orbiting the Sun. Galileo’s important telescopic discoveries in 1609 and 1610 form the most famous early chapter in the story of the wider acceptance of heliocentrism. But in the process, something went terribly wrong. Two decades later Galileo was put on trial by the Roman Inquisition—a move damaging not only to Galileo and free scientific inquiry, but also to the reputation of the church for centuries thereafter. In this lecture, Dr. Danielson will revisit the first great telescopic astronomer and show how he “cheated” in his presentation of “the two great world systems.” He will also show how mis-readings of the Galileo episode continue to skew our understanding of the history of science. 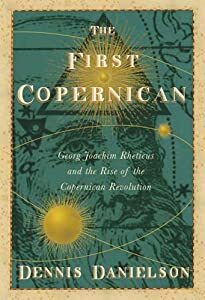 In fact, right through the seventeenth century, many of those resistant to heliocentrism founded their objections scientifically—not merely on dogmatic or traditionalist grounds. Of course, none of this excuses the persecution of Galileo by church authorities. Danielson contends that by zooming in critically on Galileo’s own writings we can gain a better grasp both of his faults and of his genuinely astonishing scientific contributions. The talk should engage anyone interested in the literature and history of science and/or cultural and intellectual history. 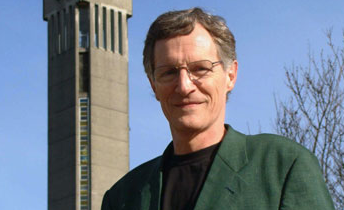 Dennis Danielson, professor of English at the University of British Columbia, is a literary and intellectual historian who has made contributions to Milton studies and to the early modern history of cosmology, examining scientific developments in their historical, philosophical, and literary contexts. His books include Milton’s Good God: A Study in Literary Theodicy (1982) and the Cambridge Companion to Milton (1989, 1999), both published by Cambridge University Press. His subsequent work in the history of astronomy, especially The Book of the Cosmos: Imagining the Universe from Heraclitus to Hawking and The First Copernican: Georg Joachim Rheticus and the Rise of the Copernican Revolution, has engaged both humanities scholars and scientists in dialogue about the historical and cultural as well as cosmological meaning of Copernicus’s legacy. Danielson was the 2011 recipient of the Konrad Adenauer Research Prize from Germany’s Alexander von Humboldt Foundation. 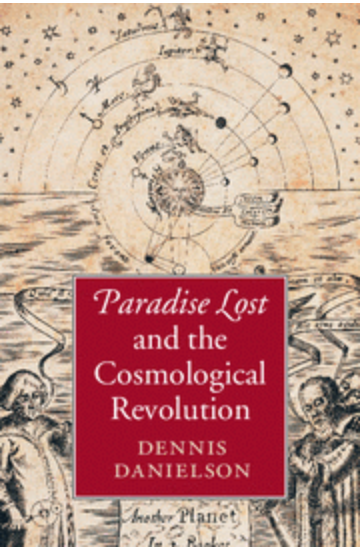 His new book Paradise Lost and the Cosmological Revolution is in press and scheduled for publication by Cambridge University Press in 2014. This volume brings John Milton’s Paradise Lost into dialogue with the challenges of cosmology and the world of Galileo, whom Milton met and admired: a universe encompassing space travel, an earth that participates vibrantly in the cosmic dance, and stars that are “world[s] / Of destined habitation.” Milton’s bold depiction of our universe as merely a small part of a larger multiverse allows the removal of hell from the center of the earth to a location in the primordial abyss. 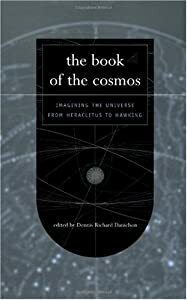 In this wide-ranging work, Dennis Danielson lucidly unfolds early modern cosmological debates, engaging not only Galileo but also Copernicus, Tycho, Kepler, and the English Copernicans, thus placing Milton at a rich crossroads of epic poetry and the history of science. Commentary from the Lecture: Danielson seems to be saying that Galileo in his argument with the authorities of the time (religious and scientific) was actually not presenting accurately the two main contending views of the universe: Tycho Brahe’s (Tychonic) vs. Copernican. He was instead choosing the ‘straw man’ view of Ptolemy which had already been discredited many years before. There were actually three systems to speak about if he were properly to include Ptolemy’s view. The idea that he faked the alternatives to win the debate is an astounding insight. There was one other important point: it takes centuries to actually change the scientific mind on such an important issue as its cosmic picture. Scientific objections to the Copernican view were not fully until the 19th century.” claimed Danielson. trial by the Inquisition a year later.